145 ft overall, cost $25,000; launched week of Oct 5, 1863. 1870 Merchant's Line, Montreal to Upper Lakes. 1875 Western Express Line, Montreal to Chicago. 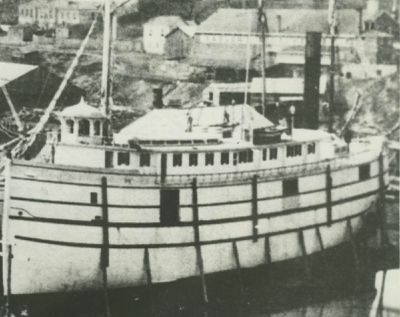 1880 Dismantled, made barge Owen Sound, ONT; renamed JOHN A. RYAN; machinery into new steamer MANITOULIN; barge owned Thomas M. Ryan, Buffalo, NY. No evidence ever registered in US as JOHN A. RYAN.